After weeks of budget-related drama, Mada Masr looks at how Egypt's old and new budget plans differ - or not. 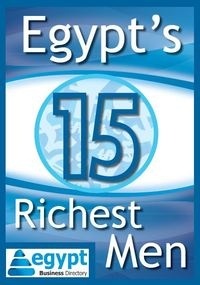 <html><body><p>After weeks of budget-related drama, Egypt’s Ministry of Finance has finally released details of its budget for the 2014/2015 fiscal year, which began on July 1. After President Abdel Fattah al-Sisi rejected a previous draft and tasked the Cabinet with lowering the deficit to 10 percent, the eleventh-hour passage of an amended budget gave little detail of its provisions but was immediately followed by a slew of tax and subsidy reforms. Despite strong words from Sisi about the need for austerity measures and the upheaval caused by a sudden increase in fuel prices, a preliminary review of the 2014/15 budget reveals few major differences between the new budget and government spending in the year that just ended. Compare, for example, these two charts, based on allocations for the 2014/15 budget, and the Ministry of Finance’s estimates for expenditure in the 2013/14 fiscal year. There is little variation in the proportion of funds dedicated to each major category of expenditure. However, the 2014/15 budget calls for LE789 billion in expenditure, compared to an estimated outlay of LE737 billion in the last fiscal year. Revenue is expected to grow as well, reaching LE549 billion, compared to LE507 billion last year. Crowd-funding the new Suez canal?